Gregory Gibboney is a self-taught artist who has lived and worked in the North Lake Tahoe/Truckee area for thirty years. He has extensive professional experience in a variety of graphic art and design disciplines, all of which influence his work as a fine artist. After painting and drawing for most of his life, he began showing publicly in 1999 and he now has a respectable list of private and corporate collectors throughout the United States. Gregory’s work was sold by the SFMOMA Artists Gallery for over ten years. He has been featured at galleries in Northern California and Northern Nevada and was honored to be the “token male” for a Wild Women show at the Nevada Museum of Art. He was also one of the first mixed-media artists to be accepted for the prestigious Sausalito Art Festival in 2001. Through experimentation with new materials and techniques, he is always learning and his work continues to evolve. 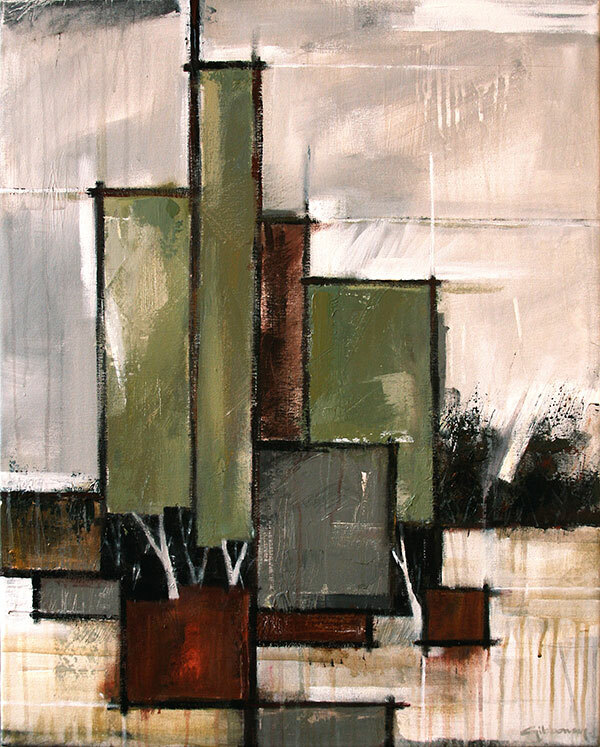 Although subject matter may change, he is continually drawn back to his home, nature and the landscape. In 2001, after years of missed signals, my wife Therese underwent brain surgery to remove a tumor on her left optic nerve. Thankfully, an amazing team of surgeons were able to remove the hemengioma and within a month of the procedure her vision returned to 50% of normal. The next obstacle was a long, slow recovery. Therese had decided to keep and dry the flowers she was given while at the hospital and they were hanging all around our house. As caregiver, I was unable to get outdoors to draw so the flowers grabbed my interest and eventually became my subject. I had not done much representational still life work before, but the process turned out to be a beneficial escape. Tedious detail, which I normally avoid like the plaugue, was actually enjoyable and therapeutic. With each new piece, my natural brush work returned stronger to compliment the realism. The results were both pleasing and cathartic. 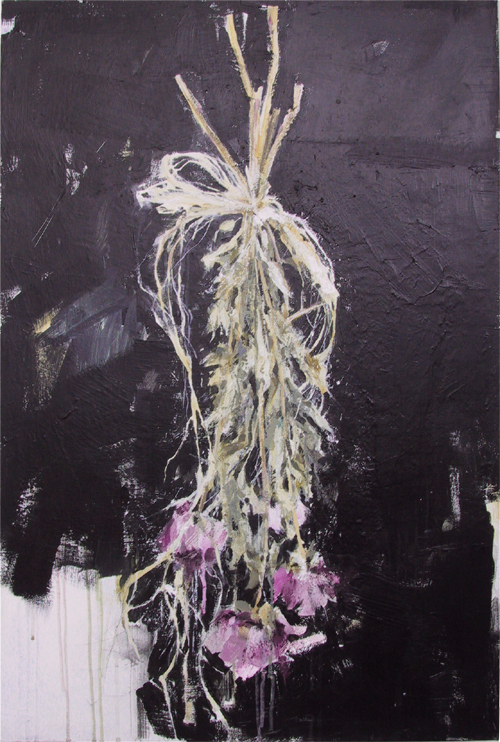 Roses for Therese became the largest series and most personal group of paintings I have produced to date. Emotions from a difficult time in our lives are unsympathetically exposed in this work and I will always be grateful for the opportunity to create them and for the healing they provided.